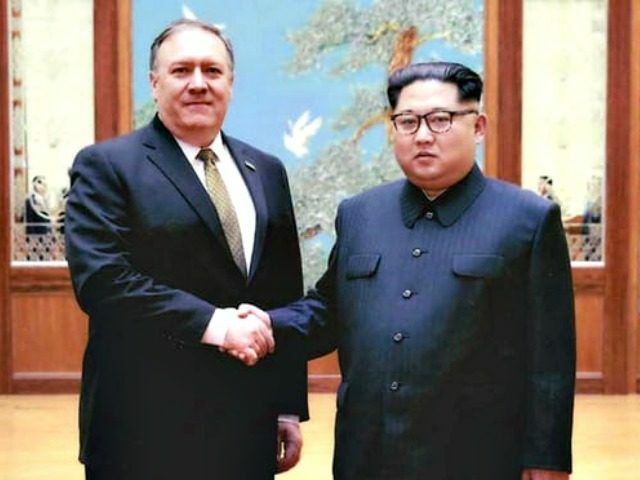 President Donald Trump announced Wednesday morning that Secretary of State Mike Pompeo was returning from North Korea after successfully negotiating the release of three American citizens. Kim Dong-chul of Virginia was detained in 2015, sentenced to ten years in prison on charges of espionage and subversion. Accounting Professor Tony Kim and Pyongyang University Professor Kim Hak-song were both detained in 2017. Trump also announced he would travel to Andrews Air Force Base to personally welcome the three freed detainees home to the United States. Trump praised Pompeo’s successful meeting with Kim, looking forward to his upcoming summit with the North Korean dictator.